September is one of my favorite times of the year. It brings so much promise and the chance to start afresh. Being a teacher myself September is what January is for most people. Motivation is high and change feels like it's on the horizon. September also see's my sons second birthday and my twenty ninth. I love that it starts to get a little cooler and the nights shorter. The changing of seasons brings so much colour and beauty and I get to dig out my knits. Of course, September also means back to school and my big girl goes into year one. Year one. 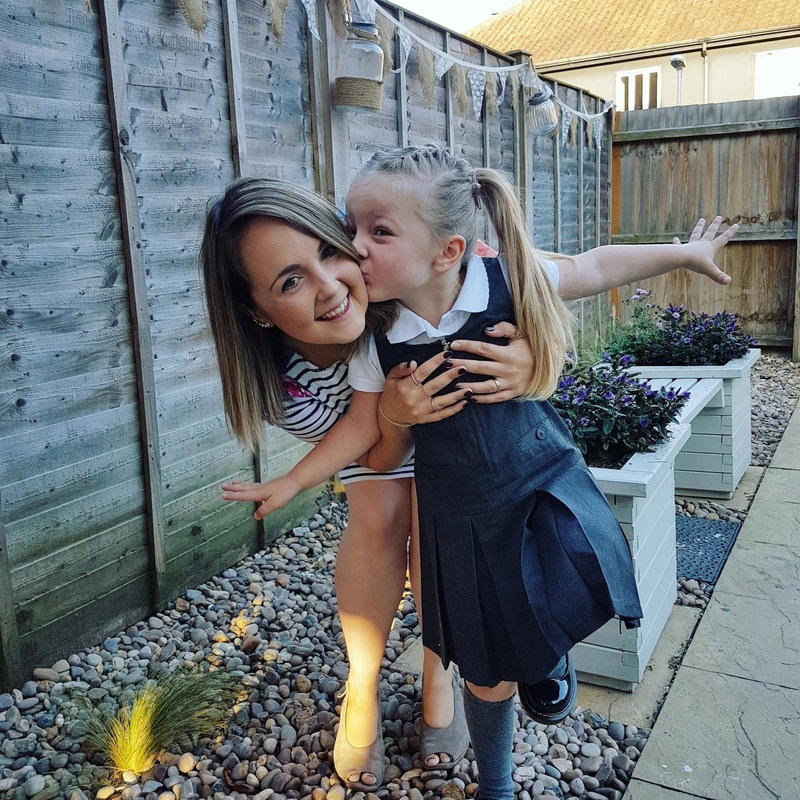 When she started school last year I couldn't believe I had a school aged child. It literally blew my mind, so how did she get to be in year one already?! I love that she loves school and is looking forward to going back, it makes everything far easier and enjoyable. So, as we're two weeks off back to school, the "back to school shop" has officially begun. We had a lovely little day out in Norwich over the weekend and we managed to get the main things ticked off our list, shoes and school bows of course and is one happy student! We headed to intu Chapelfields, which is always our first point of call, as it's just so convenient. We can park, nip to the shops, have a bite to eat and we're done - just what we need with two little ones in tow. Darcie's school shoes were from Schuh and we opted for another pair of Dr Martens. I love their shoes and the school range is fantastic, so smart, plus they are so long lasting. I'm fed up of seeing girls school shoes with flimsy soles and cutesy designs. My girls loves to climb, run and jump in the occasional puddle and so when I look at most girl school shoes I laugh and think "they will just not handle my adventurous girl". So, Dr Martens are perfect, the soles of the shoes are so hard wearing. Darcie had a pair last year and the soles still look new! They're definitely worth the money. Plus these ones have a rather sweet bow that can also be detached too - Darcie loved this feature! We still need to get a few more polo shirts and dresses, but everything else is purchased through the school so she's almost all set to go. Though I think her brother will be sad to see her off at the school gates because they've become so close these past few weeks - two little mischievous monkeys, I think he's going to feel a little lost in September. So, with that in mind, we're looking into Tennis and Rugby Tots for him to get into. He's grown up so much too of late and I think that's down to sister's influence, I don't want to jinx myself but he seems to be getting a little "easier" and touch wood, now his speech is coming along so quickly, his tantrums are getting far less. Hurrah! Are you looking forward to September? Have you started the back to school shop?